Join the Piccolo family to find out more. Supporting our sister charity, Food Education Foundation and NCT, the UK's largest charity for parents. 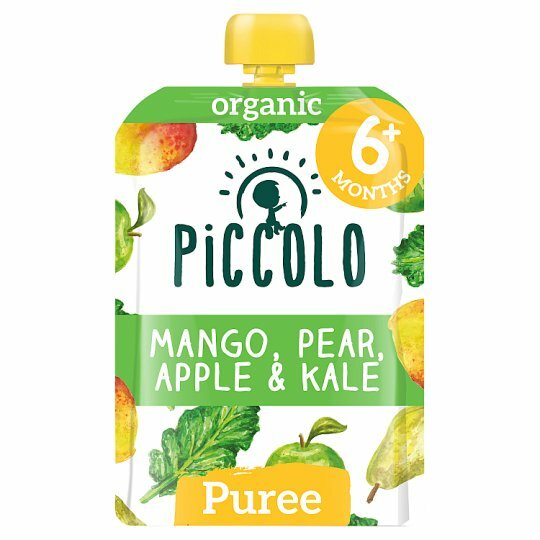 We believe that introducing a pinch of Mediterranean goodness helps develop your little Piccolo's taste buds from when it matters most. Cooking Instruction: Pouch does not require heating. Never microwave pounch. WARNING: The cap could be a potential choking hazard. If the pouch looks damaged or inflated do not feed to your Piccolo and return the pouch to the address below.